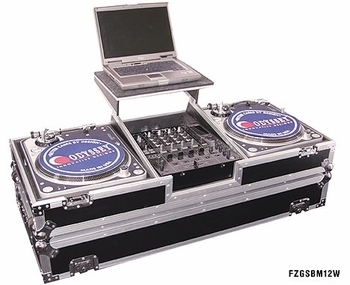 Odyssey FZGSBM12W DJ Coffin w/ Wheels DJParts - All Variety of Parts that DJ Needs. Mixer well holds mixers with a width of 12.25 ", depth up to 14" and 3" tall. Width Height Depth 48" 22" 12.75"